You may often hear a native Chicagoan or two reference the two seasons the city boasts: winter and construction. Through the short set of 5 or 6 months where the sun consistently shines, city dwellers are charged a fee of their patience to get to their sunny destination outdoors as traffic from many a road project usually makes for added travel time. 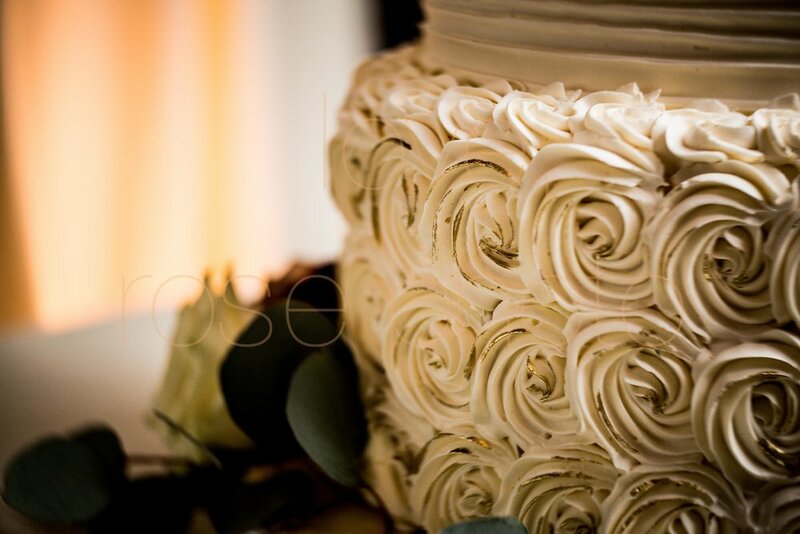 For each downtown wedding Rose Photo is a part of, we spend as much time checking on road closures and where newly erected cranes are staged as we do planning for the perfect photographs and knowing which lights we will pack. Luckily though, our crew always packs extra patience and is more than happy to go the extra mile, literally, to be sure our couples' big day is as seamless as possible. 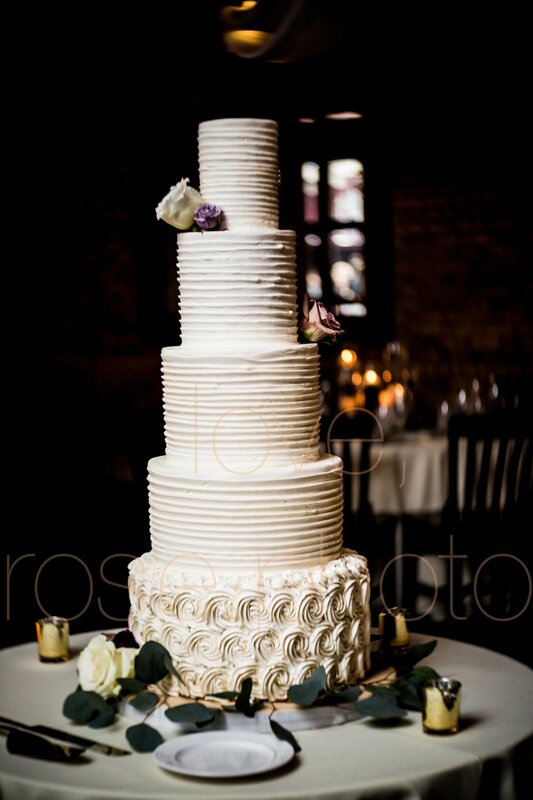 It could be said that we are part photo crew and part wedding planner/ concierge/ gps but all in the name of having a well planned and organized photo timeline! 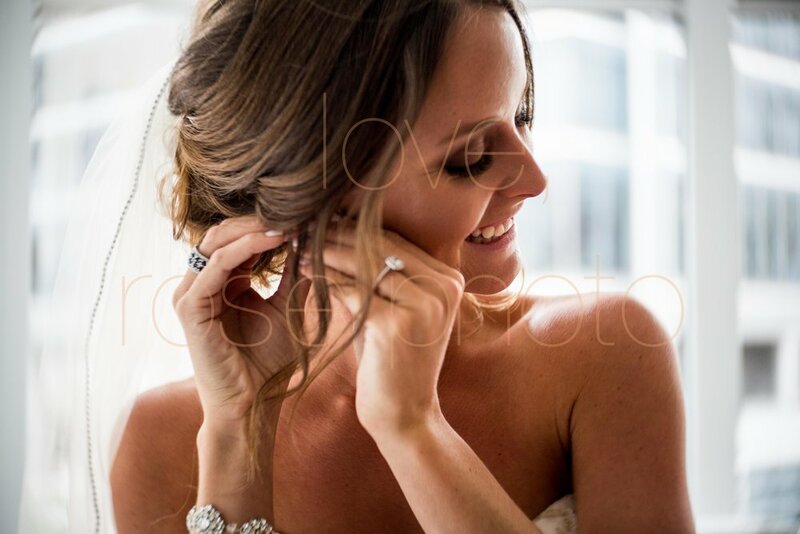 When Justine + Matt first sat down to work with Rose Photo on their wedding day timeline, we chatted about a variety of topics including their favorite areas of the city to their overall vision of their wedding day. When we got to discussing where we'd plan for the bridal party photographs, we began thinking of locations that would showcase their love and all the beautiful details of wedding attire so purposely chosen. The bride found the most delicate floral gowns for her bridesmaids at Jenny Yoo in River North. We thought to place that light pastel pattern amongst other organic textures and soft tones at Janine Gang's stunning HoneyComb sculpture in Lincoln Park. 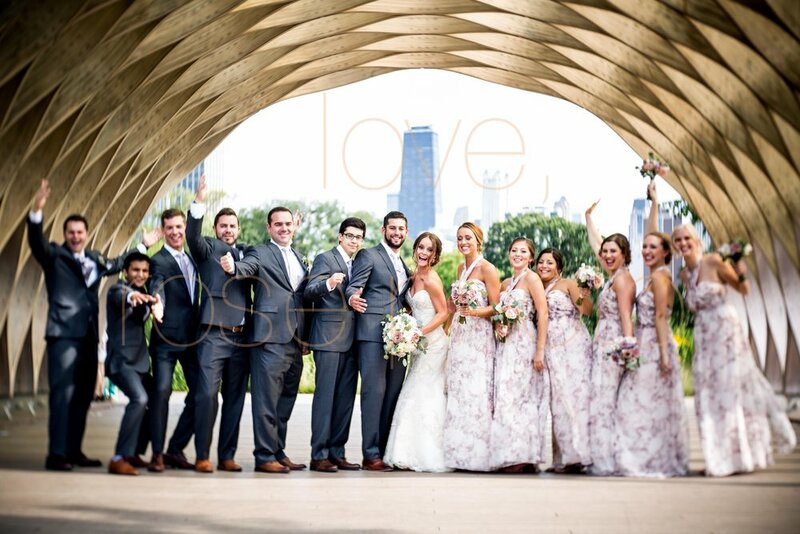 Justine's family has worked in stone masonry over the many years so the Chicago River's historic bridges were always something their family appreciated. 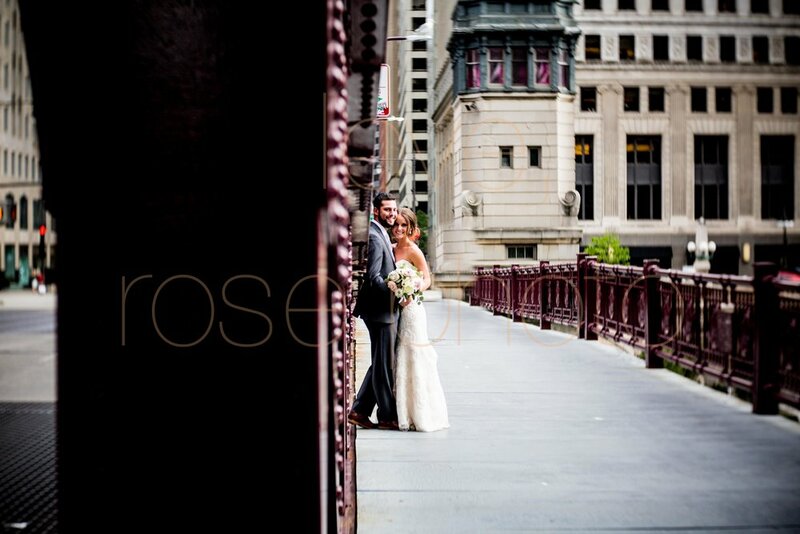 With that in mind, we planned for a few photographs on the LaSalle Street Bridge near to the couple's venue. 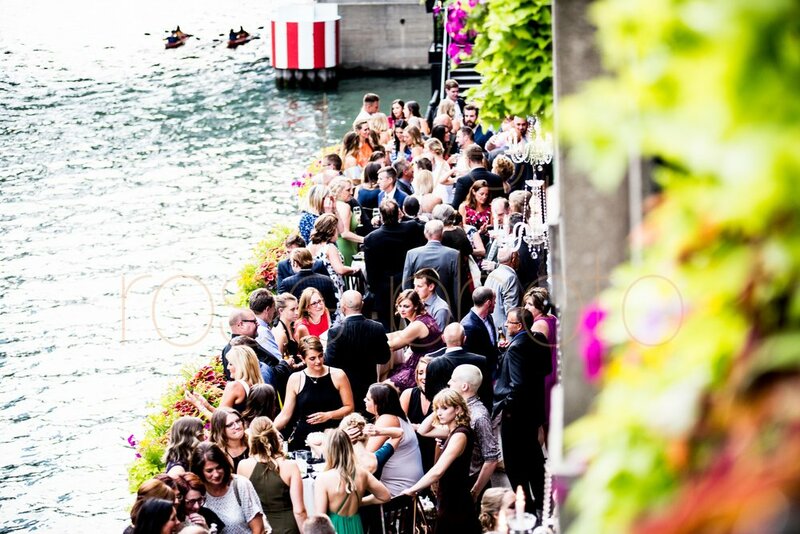 Finally, when we arrived at River Roast Chicago, we had the perfect day for the cocktail hour to be outdoors on the sunkissed, river front patio. I should add here that in the season opposite to winter, also known as summer in some parts of the world, Chicagoans claim patio season as their inherent right be outside as much as possible!! And with a view like we had on this wedding day, how could we skip this as a photo op?!?! 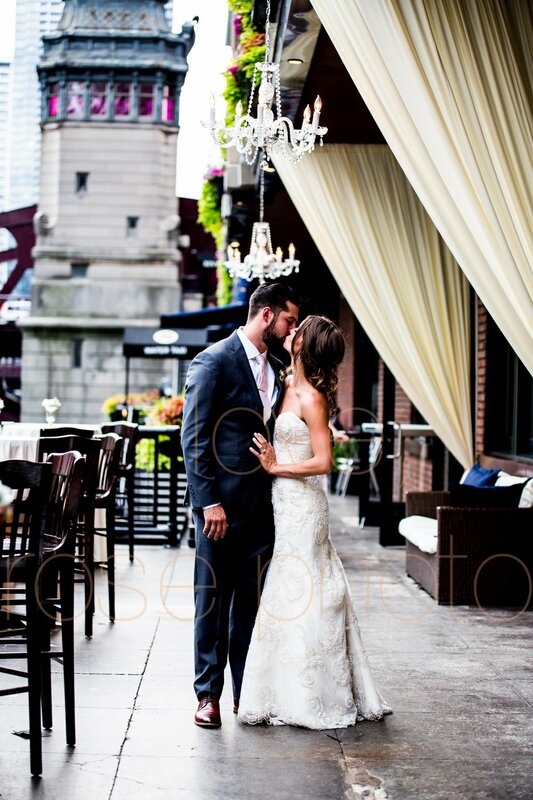 Just before the couple's grand entrance, we made sure to capture Justine + Matt steal a quick kiss under their perfectly placed, outdoor chandeliers and in front of one of a handful of iconic Chicago River Bridge Houses. These locations may be places you've walked by daily or even seen photographed previously. But for this wedding and all our clients, each location was specifically chosen to tell their story through photos in the best way possible. With that in mind, rarely do we have the same work day twice in the photo world! Certainly, we have to stay on our toes and keep our eyes open for new and interesting backdrops but sometimes the ordinary can be perfectly framed to be extraordinary when it tells a real, true story. Our job as photographs is to be true to life, authentic story tellers and it's really such an honor to get to do that for our clients as often as we do! 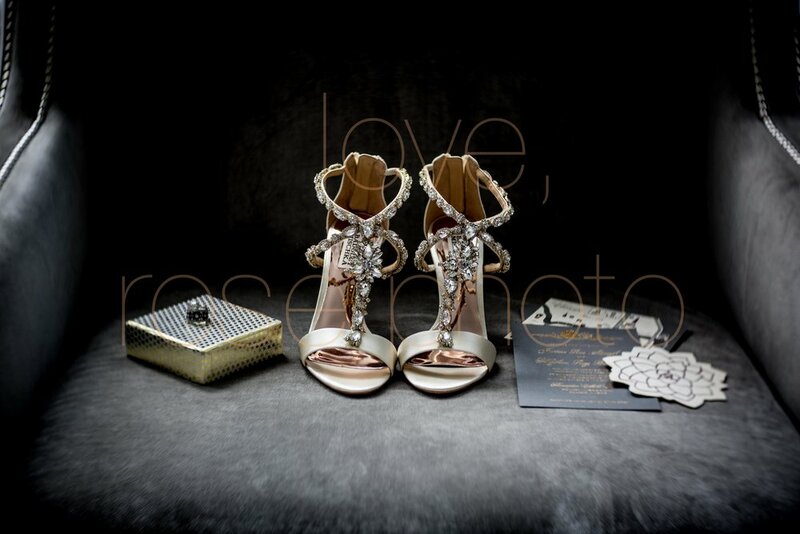 Justine + Matt, thank you for trusting Rose Photo to document your big day through photographs. 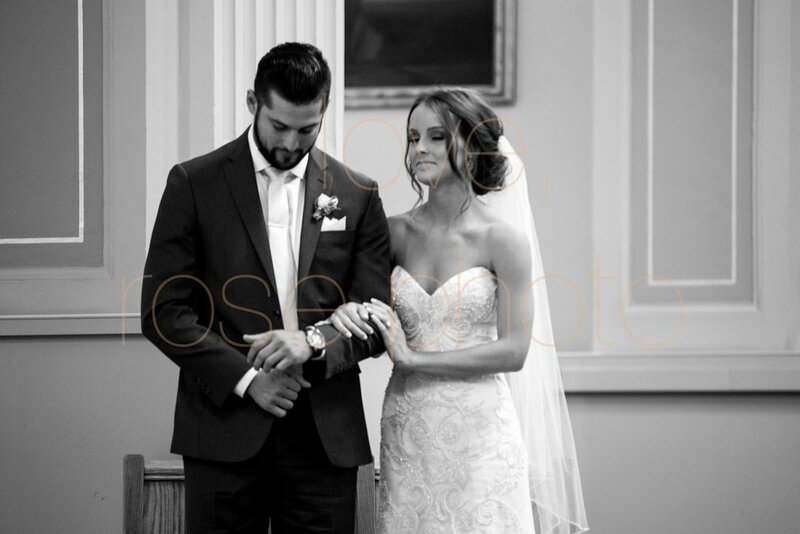 We are so grateful to be part of your wedding celebration and look forward to telling more of your life's story with our cameras!